Commercial Carpet | Wolfe Flooring Inc.
Wolfe Flooring sells and installs a complete line of commercial goods manufactured by the top brand names in the flooring industry. We will make your purchase of new carpet an easy experience. 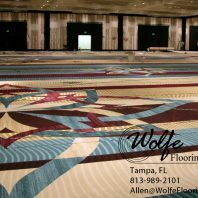 When you purchase carpet from Wolfe Flooring, you receive decades of technical knowledge of installation and guidance on establishing a maintenance program. Please ask us about a office presentation. We can both provide you with the products and installation of your dreams. Alternatively, we can provide the products without the installation. Or, we can provide the installation service for the products you provide. The most economical choice for most customers is for us to both supply and install your flooring goods. Most often, this is also the path of least complications. Wolfe Flooring has, for many years, learned installation procedures from the manufacturers. The durability and cosmetic appeal of your new flooring product is determined by two factors: (1) the manufacturer's production of quality goods and (2) a careful and diligent installation. We can get you the quality goods and give you the quality installation. We plan to make you happy! Owners and administrators of continuing care retirement communities (CCRC's) click here on Senior Living. It may have been a good five to ten years since the last time you selected a new flooring product. Infrequency makes it difficult to stay up with design trends, brand names, pricing and the myriad of other details that constitute a good choice. Please let us help. Below is a check list that simplifies the process. Gather color keys and samples of your primary colors in each area (e.g., wallpaper, drapes, paint, fabrics) or take pictures of the areas to help in the color selection. Calculate the approximate square footage of each area by multiplying the length by the width. Add 10% for overage by multiplying your total square feet by 1.10. For example, assume your room is 14 feet wide by 18 feet long. Actual Square Footage 14' x 18' = 252 sf. Adjusted Square Footage 252 sf. x 1.10 = 277.2 sf. Calculate your budget. And, see Pricing and Payments Policies under About Us to learn what payment options are available. Review your calendar to select a time for the work. Generally, you should anticipate times during the work week. Also, be sure to ask how long the project will take. Consider what moldings you want around the edges and/or at the thresholds. Check out our decorating ideas for ideas about styles, colors, patterns, textures, and functions. We offer carpet tile and broadloom carpet as either tufted broadloom or woven broadloom. Additionally, we provide completely custom carpet. We suggest you compare warranties. Warranties often cover a variety of topics like stain resistance, wear resistance, crush resistance and so one. One product may have a 5-year wear warranty, while another may have a 10-year wear warranty. This is less helpful if you are comparing products made by different manufacturers. Colors on sample boards may be slightly different from the actual color you receive. The variation is caused because yarn is dyed in separate batches. Thus, there may be a dye lot difference from roll to roll. This is true for all manufacturers. Colors can be solid or patterns. The patterns can be very small or exceedingly large and complex. Carpet piles can be loop pile, cut pile, or a combined cut and loop pile. Loop pile carpet (a.k.a., Berber or round wire) is constructed of continuous yarn unlike cut pile. The loops can be very small or very large. Loop pile carpets rarely ever show vacuum tracks or foot prints because the pile does not easily fall in any direction. Loop piles usually have a much stronger construction than cut piles and are less prone to matting in high traffic areas. But, loop piles are a little harder to install with invisible seams. Another drawback is that pets may snag a loop with their nails or teeth and cause a run in the carpet. Loop piles can be either level-loop piles or multi-level loop piles. The multi-level loop (a.k.a., textured loop) piles have loops of varied heights. The variations form distinct or random patterns. The patterns in these sculptured style carpets require a pattern match installation which renders a slight increase in installation costs. The benefits of the multi-level loop style is that the irregularity will hide soiling better and lends to a more causal appeal. Cut pile carpet is made by cutting the tips off the loops leaving all the tufts cut at the same height. Cut pile is more popular than loop pile. Cut pile comes in three primary styles: saxony, plush, and friezé. Saxony carpets have a twisted yarn. The twist reinforces the nap’s resistance to matting. The more twists, the better. Plush (a.k.a., velvet) carpets have straight yarn. Therefore, the tips of the individual tufts blend together forming a smooth, velvet look. Plush carpets usually have denser pile to add resistance to matting. Although plush carpets do not hide foot prints very well, plush carpets are usually high end products. The last cut pile are the friezé carpets (or, hard twist, high twist or twist pile). Friezé carpets (pronounced "fr -zay") typically have longer tufts than saxonies or plushes. Like saxony, friezé carpets have a twisted yarn. But, the twist in friezés are so extreme that it causes the individual tufts to become bent out of shape. So, instead of straight tufts found in saxony, the friezé carpets has a chaotic look. Cut-and-loop pile carpet has both cut tufts and looped tufts. Cut-and-loop (a.k.a., cut-uncut) piles start out as loop piles and then the manufacturer randomly or systematically cuts off the tips of some of the loops. The end product may be a sculptured carpet with varied levels or it may be a uniform height. These products also require a pattern match installation. There are both synthetic and natural fibers used to make carpet yarn. The synthetic yarns used are nylon, olefin (a.k.a., polypropylene), polyester, acrylic, and rayon. The natural yarns used are wool, cotton, silk, and sisal and other plant fibers. There are also blends. Let us comment on the most important fibers in the carpet industry. Call us if you need additional information. Acrylic has a fabulous wool-like feeling, but is not very durable. Polyester costs less than nylon, but is less wear resistant. Polyester is also know for its softness. Olefin (a.k.a., polypropylene) is the most resistant to moisture and stains and is not even harmed by bleach. Furthermore, olefin is relatively inexpensive. The problem with olefin is that it crushes easily. After five years of wear, it may be ready for replacement. Wolfe Flooring strongly recommends that you avoid olefin except for in rare circumstances. Nylon has wonderful wear resistance. Over 70% of carpet uses nylon, but not all nylon is the same. There two types used for carpet: nylon-6 and nylon-6.6. Nylon-6 is recyclable; nylon-6.6 is more stain resistant and more durable. Wool is the king of yarns. If you join the top 1% of carpet owners in the U.S., you’ll enjoy the luxurious feeling of wool everyday. Wool has natural resilience and beauty. The limitations with wool are its price, its need for special care when having it cleaned, and its vulnerability to moths. Sometimes quantitative measurements are available for quality comparisons. Performance Ratings measure the carpets ability to retain its appearance with a focus on yarn construction. The two rating systems used are the Performance Appearance Rating (PAR) and the Carpet Assurance Program (CAP). PAR’s scale is from 1 to 5; CAP’s scale is from 1 to 10. The higher the grade, the better. Stain resistance, color loss, and other attributes are not considered in the rating. Face weight (or, "pile weight" or "yarn weight") measures the ounces of fiber used per square yard. Total weight measures the ounces of fiber, backings, etc. used per square yard. Pile height (or, "pile thickness") measures the height of the pile from the backing. Stitches per inch (SPI) measures the number of individual tufts in one inch going lengthwise. Row or wires measures the same characteristic in woven carpets. Gauge measures the number of individual tufts in one inch going widthwise; therefore, gauge measures how close two tufts are together. Pitch is the gauge times 27 which is used in woven carpets. Tufts per square inch (TSI) is the stitches per inch times the gauge. Tuft bind measures the pounds of force required to pull a tuft out of the backing. Twist measures the number of complete twists of an individual tuft. There are usually no more than 8 complete twists. Your carpet needs a good cushion just like a mattress needs a good boxspring. Click here to learn more. The following preparations should be made before your flooring product is installed. Some of these preparations may be unrealistic given your circumstances and may not have an affect on the success of the installation. However, we've included these manufacturer and regulatory agency recommendations in hope of the optimal installation and for disclosure reasons. Manufacturers may vary slightly. The manufacturer of the product you select is the final authority for their product. A layout should be agreed on. Seam placement can be adjusted to suit the customer's desire. Generally, seams should be positioned in low traffic areas without cross lighting. If you are wanting an inlayed border of carpet, the border's width and position should be discussed. Doors may have to be adjusted or cut at the bottom (i.e., planed) after your flooring is installed. Determinations as to whether such alterations are needed may not be possible prior to the installation. Door adjustments are priced separately. If you're purchasing new carpet to replace old, this will likely not be needed. Moldings are located at thresholds and around the room's perimeter. The molding may have to be removed, replaced, or added. A broad variety of moldings are available for all flooring products. Molding are made of wood, vinyl, rubber, metal, carpet, stone, and ceramic. Some moldings are designed to draw attention; while, others are designed to blend in with the primary flooring products. Moldings are priced separately. If you have a concrete subfloor and it is new construction, the concrete needs to cure for 45-120 days before installing the flooring (90 day average). If you have a concrete subfloor, the moisture level of the subfloor should be tested by the calcium chloride moisture test (ASTM F1869) or by the in situ probe test (ASTM F2170), which is more accurate. Moisture can deteriorate adhesives and also gender bacteria, odor, mildew, mold, rot, and water stains. Moisture in the subfloor may be the result of new concrete or ground water moisture from the outside. Testing of the subfloor should be done early in order to plan accordingly. This test is usually just a matter of formality, except in the case of new construction or below-grade subfloors. If you have a concrete subfloor and you've selected a glue-down or double-glue installation method, the subfloor's pH level should be tested. As concrete cures, the hydrating moisture deposits alkali salt on the concrete's surface. The pH reading should be between 5 to 9 to be suitable for carpet. Alkali can deteriorate adhesives. Testing of the subfloor should be done early in order to deal with any problem that you may possibly detect. This test is usually just a matter of formality, except in the case of new construction or below-grade subfloors. If you've selected a glue-down or double-glue installation method, the porosity of the subfloor (wood, concrete, etc.) should be tested. This indicates how well the adhesive will bond with the subfloor. Testing of the subfloor should be done early in order to deal with any problem that you may possibly detect. This test is usually just a matter of formality. Customers will need to verify that the relative humidity of the building is between 20% to 65%. High humidity may cause your new carpet to expand and therefore wrinkle. High humidity may also hinder the adhesive's curing time if the carpet was glued down. Most customers have the proper relative humidity. Condition the room to between 65° and 95° F (suggested 75°) for 24 to 48 hours before installation. The slab temperature should not be below 50° F on the day of installation. After the temperature has been properly set, acclimate the new carpet to the room 24 to 48 hours prior to the installation. Pick up all personal items from the floor, and secure all delicate breakables (e.g., dining pieces and figurines in a China cabinet) prior to our arrival. Disassemble complicated electrical equipment like computers prior to our arrival. If the building is new construction, the building should be presented broom swept and free of all equipment, etc.. The furniture must be carefully removed and put back in place. About half of our customers choose to handle their own furniture; therefore, furniture handling is priced separately. If you elect to handle the furniture, please remove the furniture prior to our arrival. Some manufactures recommend that furniture not be returned onto the new flooring for a period of time. See directions below under "Follow-up Activities and Initial Maintenance." Fixtures (e.g., toilets), doors, appliances, and other items may have to be removed and reattached. This service is priced separately. 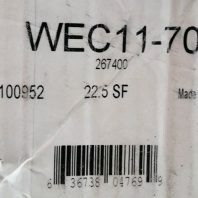 When the products arrive at your site, please verify the products are the correct color, style, and quantity you ordered. The earlier the detection the better. Flooring products that are installed create more warranty complications than products still on the truck. Once we begin your installation, the work area should be restricted from all foot traffic. Unfinished thresholds, flooring products and tools can pose TRIP HAZARDS. PLEASE BE CAREFUL. Please restrict the work area during the entire project. Temporarily disarm your fire sprinkler system/fire alarm system while we are doing our work. Seaming irons create smoke that can set off sensitive systems. Please secure your small children and pets from following us out of your home while the exterior doors are open. The subfloor must be in suitable condition. Your subfloor may or may not require floor prep. The amount of preparation varies depending on: the type of subfloor, the subfloor's condition, the manufacturer's specifications, and the installation method you select. Subfloor preparation is priced separately. The stability and precision of the subfloor will have a bearing on the long-term success of your new flooring. Stretch-in installations require less floor prep than installations that require adhesive. BE ASSURED THAT FLOOR PREP IS USUALLY ONLY A NOMINAL EXPENSE. MANY CUSTOMERS HAVE NO FLOOR PREP EXPENSES. Here are some of the common preparations made on the different floor types: concrete, terrazzo, wood, or metal. Plywood joints should be level within 1/32". Reinforce subfloor to stiffen and smooth the surface with wood underlayment, lauan plywood panels (Type 1, exterior, OVL grade, solid core mahogany), or plywood. Abrade glazed surfaces for a glue-down installation. Seal off moisture with impervious 6 mil (0.15 mm) polyethylene film, 15 lb asphalt felt, red rosin paper, or another moisture retardant. Replace weak boards and secure loose boards. Seal with primer for a glue-down installation. Mopping with a mix of muriatic acid with water (1:10) or a mix of white vinegar with water (1:1) and rinse to neutralize alkalinity on concrete for a glue-down installation. Grind away concrete curing agents, parting agents, or surface hardeners for a glue-down installation. Chip away wall plaster, etc. Fill holes and cracks up to ¼" thickness with patch and/or leveling compounds. Fill in and level depressions up to ¼" deep with patch and/or leveling compounds. Remove old adhesive completely for a glue-down installation. Remove paint, varnish, wax, pigmented material, solvents, grease, oil, etc. completely for a glue-down installation. Sand away rust of metal substrates for a glue-down installation. Sweep clean for a glue-down installation. Documentation. Process the billing and get a hand written or published warranty. Retain the sales receipt and any product description from the purchase of the goods. If possible, document the manufacturer's name and the manufacturer's full product description including color. Furthermore, retain a sample of the carpet for comparisons. For insurance purposes, it's good to have a picture of your new product in a safe place. Attic Stock. Retain extra product for possible repairs that may be needed in the future. Keep the materials in a dry place that stays about room temperature. Do not put this in the attic. Extreme heat can damage the backing and discolor the yarn. Wolfe Flooring picks up all flooring product scraps. We will also provide vacuuming at an additional cost. Seams should not be vacuumed for 4 hours after the installation. Although hot-melt tape dries in minutes, latex seam sealer takes longer. If your carpet was stretched in over cushion, you can return the furniture and expose the carpet to heavy foot traffic immediately after the installation. If your carpet was glued down, do not return the furniture or expose the carpet to heavy foot traffic for 48 hours after the installation. The adhesive needs time to cure. Do not step directly on seams for 4 hours after the installation. Although hot-melt tape dries in minutes, latex seam sealer takes much longer. Maintain the same temperature for 48 hours after your carpet installation. Leaving the building unoccupied with significant changes in temperature and relative humidity can cause wrinkles. Ventilate the areas during the installation and for 24 to 48 hours after the installation to dissipate the new product smell. Enhance the ventilation by switching your air conditioner to fresh air, not recirculated air. Do not wet clean the carpet for 1 day after a stretch-in carpet installation or for 30 days after a glue-down carpet installation. Moisture will affect the adhesive and could lead to significant long-term problems. Your new carpet may have some shedding fiber or may "sprout" loose tufts. This normal experience will disappear after a few months of vacuuming. 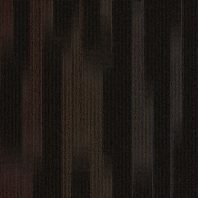 Brintons Woven Carpet B Ballroom - LOCAL PICKUP ONLY!